Update: Mere seconds after posting this around 9:15 a.m., we started seeing reports of new delays heading towards Alewife. A Red Line train died near Andrew during rush hour, causing delays for riders going into town from Dorchester, about an hour after signal problems near Davis caused delays for riders going into town from Cambridge and Somerville. Transit Police report arresting a Quincy man they say told officers he got so mad at somebody he was talking to on the phone that he head butted a window of the Red Line train he was on, cracking it and leaving officers no choice but to arrest him on a charge of malicious destruction of property. Screaming at fellow passengers did not help his case, police add. Read more. The FBI's Bank Robbery Task Force is looking for a man who held up the East Boston Savings Bank branch at 501 Southampton St. around 5:50 p.m. on Nov. 23. Read more. The Red Line outbound is dead at Andrew Square due to what the T is calling a "power problem" - dead enough to try to get shuttle buses running between Park Street and Ashmont. We were evacuated in a hurry by an official who said the train was on fire, then corrected himself by saying there was a fire in front of the train. 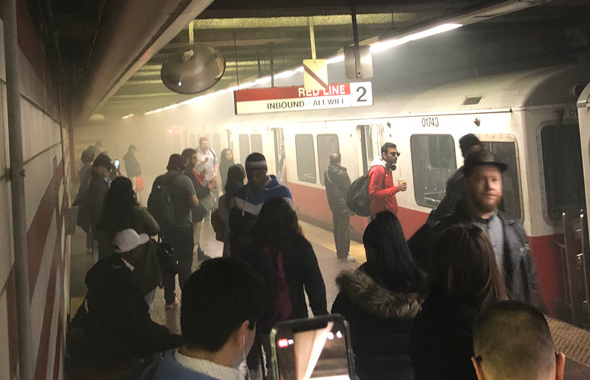 Boston firefighters reported a fire near the tracks off Von Hillern Street. 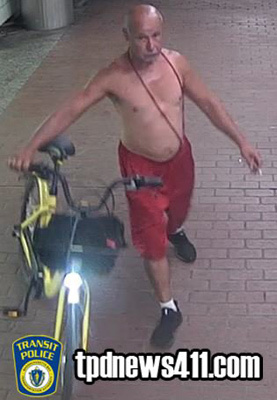 Transit Police report they are looking for a man who spit in the face of a woman he didn't know when she refused to pay for his T fare, even after he began screaming at her. Read more. 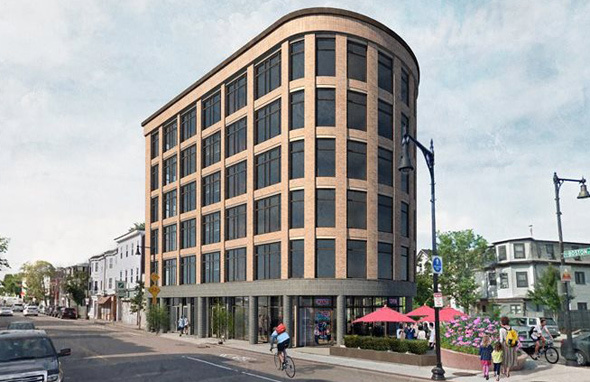 Developers David Winick and David Matteo have filed plans with the BPDA for a six-story apartment building with space for a ground-floor restaurant where Dorchester Street, Preble Street and Dorchester Avenue meet. Read more. 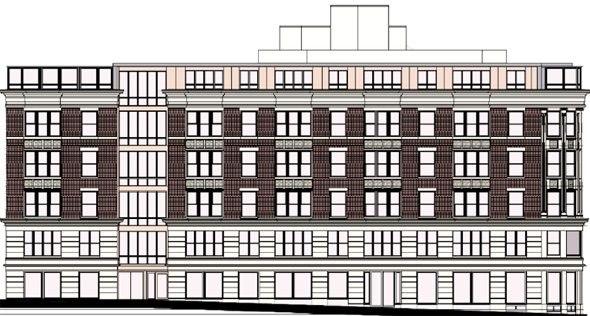 The Board of Appeals yesterday approved a six-story, 24-unit apartment building on Dorchester Avenue where it enters Andrew Square. Read more. Two developers have filed plans with the BPDA to replace the two-story Andrew Square Auto Glass garage on Dorchester Avenue where it runs into Boston Street with a 25-unit apartment building. Read more. Seth Hardy was at Andrew when the inbound train had a serious meltdown shortly before 9:30 a.m. Kyle Thomas, who was on the train, writes: Read more. A train died at Andrew and the Red Line slowed to a crawl this morning. The current sitch. Photo by James T. Here's. The MBTA reports "severe" delays on the Red Line due to an earlier deceased train at Andrew. 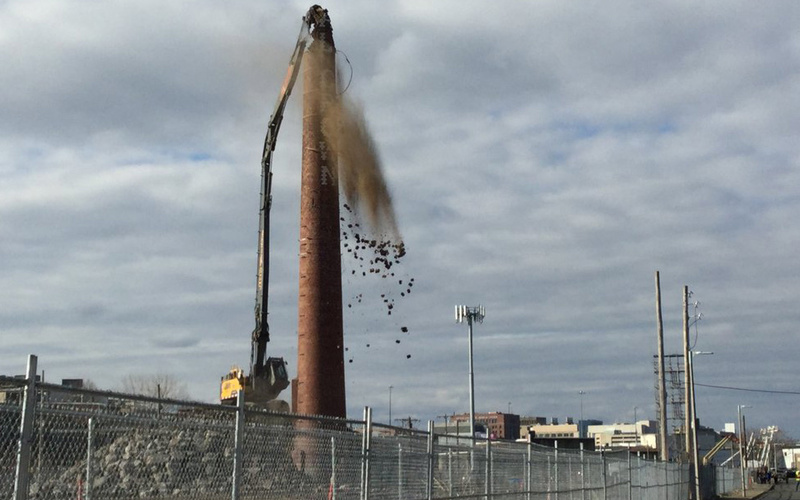 Eileen Murphy watched the demolition of the Loyal Crown smokestack in South Boston today. The 120-foot smokestack, built in the late 1930s when Loyal Crown Linen moved into a former munitions plant on Damrell Street, was torn down to make way for Washington Village, an impending development of 656 condos and apartments. The T says it's gotten the track-repair equipment that gummed up the Red Line at Andrew off the tracks, but that the Orange Line is still having problems due to an Orange Line train that bought the farm earlier at Downtown Crossing. The MBTA reports "moderate" delays on the Red Line due to "an ongoing signal problem" at Andrew. A non-viable train at Andrew is causing "moderate" delays, the MBTA reports. Drinks dropped in pursuit of robber. Photo by BPD. Boston Police report an officer on a drinks run for his district at the Andrew Square Dunkin' Donuts early this morning was forced to drop the beverages to arrest a man who was trying to rob the place. Read more. The T reports "minor" delays into town due to a train that met its maker at Andrew Square. The T is reporting the dreaded severe delays on the Red Line inbound due to a train whose poor heart gave out at Andrew. Transit Police report arresting a guy they say reacted to a woman videoing him being a jerk on a Red Line train by threatening her and then knocking her phone out of her hands. Read more.